We are the Bukit Peninsula’s newest Daycare centre. We offer Long Daycare for 0-4 years, for 9+ hours. We are committed to our local area and her people. By entrusting us with the care of your child, you’re not only setting your child up for a great Future… but you’re investing into the future of local children. We're not a playgroup, we're a Long Daycare: Open 9+ hours per day. We offer care for children from 6weeks old. With experienced local and Australian staff we offer quality care in a purpose built setting, giving parents the peace of mind that their child is not only safe, but educated in a caring environment as well. Flexible booking arrangements according to your needs: full time, part time & casual. With your needs at the forefront of our business, we offer flexible MONTHLY bookings. We allow parents the freedom to choose what is the best for their family and their child. Individualised Daily routines according to your baby's needs: Just like home. We work in partnership with families to ensure that home routines are followed for each child in the 0-2years room. We believe that a child needs security in the rhythm of a routine, whether at home or in care. In our younger rooms, Educators integrate each child’s routine together to form the room routine that is special to that room, that day and that group of children. English Early Reading program established & mentored by Australian leaders in Early Literacy Little Miracles. Our team are mentored and trained by Australian Leader’s of Early Literacy Little Miracles Childcare in their Teach Your Toddler to Read program. Little Miracles has a 90% success rate in sending children to Kindergarten reading. We will be introducing children to the basics of phonetic literacy in a fun and easy to learn way. We aim for every child to move from our care into formal schooling with established pre-reading skills. Our Daily Program is delivered in English and Indonesian. We have bilingual staff that interact with your children every day in both Bahasa Indonesian and English. Exposing children to several languages at an early age giving your child a great start in life. Offering Convenience for you: Pick up in the local area for part time bookings. If your child already attends a local Playgroup, Preschool or Kindergarten which finishes before 12, we offer a Pickup service in the local Bukit area. 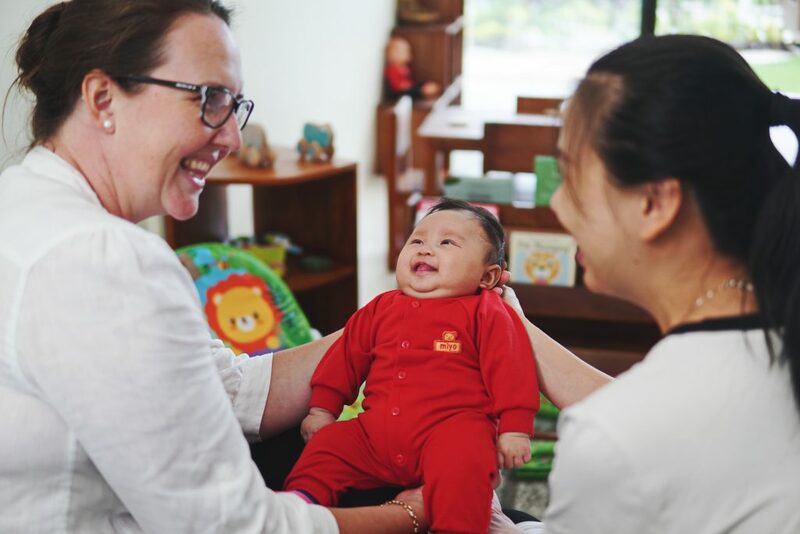 Daycare with a Difference: profits go back into supporting Bali Life Foundation. BaliLife Foundation aims to being Hope, Dignity and Purpose to the underprivileged children of Indonesia. BaliLife Daycare’s profits will flow back into the Foundation to provide a home for abandoned and surrendered children.